If you’ve ever dreamed of walking into your home and being automatically welcomed by a computer system like in the movies you’ll be excited to find out that voice control and smart home automation makes this possible now. Though we don’t have robot maids or cars that can fly, you can tell your home to turn on the TV or shut off the lights and it will follow your command. Voice control, energy management systems and 4K video technology are transforming homes in the Virginia Beach, VA area, as well as around the world. Read our latest blog to learn about three trends that are game changers in the world of automation. 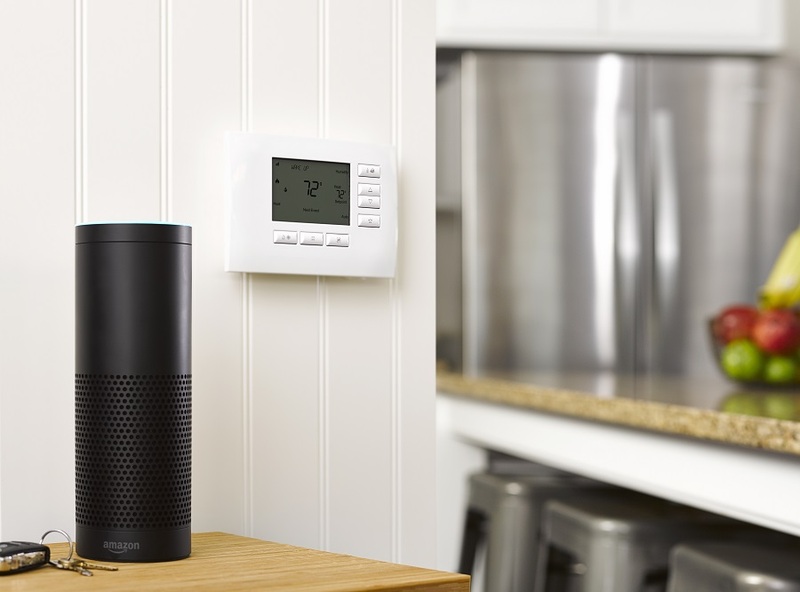 The most popular smart home trend at the moment is Amazon’s Alexa – a voice control software that runs on the devices the Echo, Dot, and Tap. For decades, we have seen glimpses of this technologies in movies like Star Trek and Back to the Future, but now this technology has been realized and can be implemented in your smart home. Imagine walking into your house after work and saying, “Alexa, start Welcome Home.” Your house will respond to your voice command by turning on the TV and the lights. You can use Alexa to tell you the time, play music, and even order a pizza. When integrated into your smart home, Alexa is a powerful and convenient tool for organizing your schedule and having fun. Making the most of our planet’s resources and also watching our pocketbooks are responsibilities we shouldn’t take lightly, and more families are considering energy management solutions to do their part in protecting our world. The facts are very telling – you can save 20 percent or more energy with lighting control and closely managing your smart thermostat will surely lead to money savings all year round. Installing energy-saving systems in your home will pay for itself. Making the most of the energy we have isn’t just trendy this year—it’s a priority. Millions of people have rushed to the stores or their local integrator to purchase 4K TVs and projectors. But it takes more than simply buying a new TV set to enjoy this amazing picture quality. You’ll need a high-speed internet connection to stream 4K video, access to 4K content, and special HDMI cables that support it. If you want a whole house video system, you’ll also need to purchase equipment that can send 4K content to different screens in every room. Our partner Control4 has matrix switchers that can deliver 4K movies and shows to different display locations. All video sources will connect to the HDMI matrix switch in a central location that is tucked away and out of sight. Make sure you get the return on your investment by checking to see if your home theater has the right connections and capabilities. Our trained technicians can help.